What do you do when you get minor cuts while chopping vegetables? Or when your son gets a bruise while driving his bicycle or when you get wounded while gardening? The first thing we do before we visit a doctor is getting first aid. Turmeric is a great first aid medicine because of its amazing anti-inflammatory, antibiotic and healing properties. It has been used in India in several ways for so long to treat wounds, cuts, burns, and bruises. The most common form of blood loss is from daily injuries. Many unanticipated accidents lead to wounds which cause rapid loss of blood from the body. Such incidents can be life-threatening if not responded to quickly. This is where first aid comes into play. It is a mode of providing quick relief to a person in need until more comprehensive medical care can be provided. Proper first aid administration is essential as it lessens the impact of the injury and can reduce future effects on the individual’s health. Knowledge of how to provide first aid is an imperative and useful life skill. Scientists are currently researching the extent to which natural remedies are useful in providing relief and thus implementing them for first aid. Turmeric is a perennial herb belonging to the ginger family. A high amount of rainfall supports its growth. Native to India and southern Asia, it is one of the chief ingredients in most curries. It is gaining popularity lately, due to its highly diverse nutrient profile. Its use offers several benefits to the body and is believed to be able to fight or reverse most diseases. Recent scientific studies are indicative of turmeric’s immunity boosting properties. Some researchers refer to it as the world’s most powerful herb. It has been used for over 40,000 years for its beneficial effects on the body. Many Ayurvedic and Chinese medicinal studies promote the use of turmeric. Inflammation is one of the chief influencers of pain and swelling at the site of injury. It takes place due to the body’s attempts to repair damage at the wound. In a study aimed at comparing the anti-inflammatory effects of various non-steroidal compounds, the activity of curcumin, a yellow compound found in turmeric was compared to that of aspirin and ibuprofen. The anti-inflammatory activity of curcumin can be attributed to the phospholipase, lipooxygenase, cyclooxygenase 2, leukotrienes, and thromboxane molecules it regulates. These are pro-inflammatory agents. 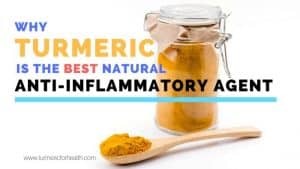 It was seen that curcumin was the most effective in inhibiting inflammation, showing better results than even common anti-inflammatory drugs. The use of turmeric provides a potential remedy for injury induced inflammation. It lowers swelling and enables better functioning at the affected area. Turmeric is believed to have beneficial effects in clotting of blood. This ability was examined through a study conducted by Shivalingu BR et al through analysing the effects of the water extract of Curcuma Longa on fresh bleeds and cuts. It was observed that the turmeric extracts were capable of promoting proteolytic enzymes that aid in the formation of blood clots. Procoagulant(substances that promote clotting of blood) and fibrinolytic activity at the site of the wound also showed an improvement on an application of the extracts. By promoting prothrombic activity, turmeric is able to stop bleeding and accelerate the clotting process. Free radicals are harmful chemicals found in our body in an unbound state. These are kept in check by antioxidant compounds. If the rate of build-up of free radicals exceeds the rate of their elimination a toxic condition known as oxidative stress takes place. In the presence of oxidative stress, the rate of healing of a wound gets hindered. 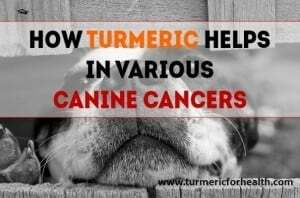 The ability of turmeric to relieve oxidative stress have been studied using various animal models. A study published in Molecular and Cellular Biochemistry reported that curcumin can accelerate wound healing by enhancing the activity of antioxidant enzymes. Improved collagen synthesis and improvement in other markers of wound healing were observed. In another study published in Molecular Pharmaceutics, it was seen that the treatment of wounds with a turmeric-infused bandage showed an improved propensity for healing. The results of the study demonstrated that the radical scavenging activities of the compound were key factors in accelerating healing. Curcumin as an antioxidant gets rid of these free radicals which are a group of atoms that are highly reactive and cause oxidative damage. It can be implied from this study that turmeric could be potentially used as first aid to eradicate harmful free radicals which are released at the site of injury. It reduces oxidative stress by improving antioxidant enzyme activity. Studies have indicated that exposure of wounds to the surrounding environment makes them susceptible to be acted on by harmful microbes. These pathogens fester on wounds and infect them. Turmeric is known for its ability to act as an antibiotic. This is due to its ability to eliminate harmful microbes while restoring stability to infected cells. This was analysed through a study directed towards understanding its effects against Staphylococcus aureus and Escherichia coli in particular. It was seen that incorporation of turmeric into the culture media of the bacteria significantly inhibited their growth. Therefore, by introducing turmeric into our first aid kits we would eliminate harmful microbes that cause infection and pain in case of injuries. The antibacterial abilities of turmeric are helpful in first aid as they kill the microbes which cause flare ups in case of injuries. Wound healing is a complex process which takes place in several stages. These include coagulation, inflammation, contraction of wound and formation of and scar. These processes are slow and require a catalyst in order to ensure better repair to the damaged site. 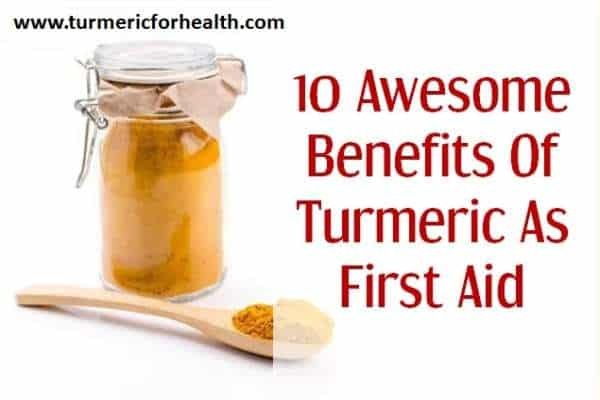 Turmeric is a potential agent to satisfy this need as the curcumin present in it has great antioxidant, radical scavenging, antimicrobial and anti-inflammatory activities. It also stimulates growth factors which are critical for the healing process. It stimulates collagen synthesis and scar formation. It gets rid of and protects from infections. Kundu et al. carried out a study in order to compare the therapeutic abilities of turmeric with that of honey. It was found that both compounds had a similar and remarkable palliative effect. Turmeric helps in wound healing through various antimicrobial and anti-inflammatory activities. It also accelerates the process by stimulating necessary growth factors. Turmeric has been believed to possess immunomodulatory abilities. In order to use the property to its full potential, its validity was tested by researchers using several disease models such as arthritis, Alzheimer, diabetes, and cancer. Increased immune cell activity is brought about through action on T cells, B cells, macrophages, neutrophils and natural killer cells. It also downregulates the expression of various proinflammatory cytokines like TNF, IL-1, IL-2, IL-6, IL-8, IL-12, and chemokines. A study published in Biochemical Pharmacology, 2014 reports how curcumin regulates immune responses by acting on the immune cells. This immunomodulatory property of curcumin can help regulate immune responses effectively in order to control excess inflammation and support wound healing. By monitoring levels of immune cells, curcumin can regulate inflammation and repair damage at wounds at a faster rate. Burns comprise a condition in emergency medicine which if not treated properly can have devastating physical and psychological effects on the patient. Turmeric is believed to be able to reverse the damage caused to skin and provide relief simultaneously. Research shows that curcumin is as effective as sulfadiazine in treating burn wounds and 2% curcumin topical cream can serve as a substitute. It was seen that the administration of curcumin effectively reduced the size of the burn wound and lowered inflammation. The results of this study indicate that turmeric is a useful agent for curing burn wounds. It provides the nutrients required for restructuring the epithelial tissue thereby aiding the healing process. Many of the wound healing mechanisms are related to fixing damage to the skin surface cells. These processes involve the reformation of tissue. The objective is to reduce inflammation and pain. In order to study the ability of curcumin to heal wounds and reduce scar formations, another experiment with an animal model was conducted. It was seen that curcumin was able to reduce surface scarring and lower inflammation occurrences. Turmeric suppresses inflammatory cytokine and chemokine production. Thereby, it protects the tissues from inflammation and reduces scarring. Accidental injuries are often accompanied by severe pain caused due to rapid damage of tissue. 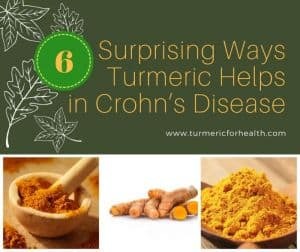 Turmeric is believed to have the ability to relieve such conditions. Through a series of studies, it was observed that curcumin displayed unique analgesic effects. It reduced inflammation-related pain as well as pain related sensations as effectively as regular painkiller diclofenac. Sahbaie P and colleagues discovered that curcumin treatment could significantly reduce pain and inflammation at the incision sites after surgery. In yet another study, it was seen that the compounds curcumin and ascorbic acid showed pain modulating effects and this effect can be attributed to the antioxidant activities of the molecules. Turmeric has several pain relieving effects on sites effected by burns or cuts. It acts as an analgesic and alleviates discomfort. It is as effective as conventional painkillers. Considering the growing popularity of the herb and its increased usage, scientists decided to analyse its efficiency in healing wounds in the human body. Diabetes could be a decelerating factor in wound healing as it slows down anti-inflammatory and antioxidant immune responses. However, in a 2014 International Immunopharmacology published a study, it was seen through an animal model of diabetes that curcumin provides a possible solution to this problem. It speeds up wound healing by improving antioxidant defences and reducing inflammation. Turmeric does not have any toxic side effects on our body and has been shown to be useful in speeding of the recovery process of wound healing and scarring. For wound healing, it is recommended to consume the herb in the form of Turmeric milk or turmeric tea. Golden paste combines turmeric with black pepper to aid absorption by the body. There is no specific optimal dosage. It varies from person to person based on what suits them. 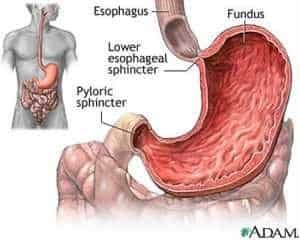 Starting with a low dose is advised to avoid gastric side effects. Start with small doses such as ¼-1/2 tsp a day for a week and if no gastric side effects are seen increase gradually by ¼-1/2 tsp every week. You can find the recipe for Golden Paste here. You can also make Golden Paste from fresh roots. Some good brands to purchase are mentioned in our recommendations of organic turmeric brands. If taking turmeric supplements consult a health practitioner prior. Despite the multiple benefits turmeric has to offer, it is best to seek the advice of a medical professional before beginning its use as a supplement. Large dosages are sometimes linked to acid reflux. Its use is not advisable on an empty stomach. Curcumin interferes with drug metabolism enzymes and hence should not be taken concomitantly with any medication. Considering all the benefits turmeric has to offer in case of wound treatment, its popularity is now skyrocketing. It is highly effective in relieving pain and inflammation associated with wounds and burns. Turmeric helps stimulate wound healing, promotes collagen synthesis and scar formation thereby accelerating wound healing. is it useful to give Turmeric directly on the wound, for example in the form of a paste (without black pepper)? Hi Bernhard. Yes you can mix turmeric with a suitable oil and use it topically on a wound (avoid in case of open wounds). No black pepper. Ensure you get good quality turmeric powder. Conduct a patch test prior. Can Turmeric oil be added to make a salve for first aid use? Hi. Yes turmeric oil has anti-microbial properties and can be used in first aid. But please mix it with a carrier oil such as coconut oil since turmeric oil is very concentrated. Also conduct a patch test prior. So it’s not advisable to use Tumeric before surgery? Dietary turmeric is fine prior to surgery. Turmeric supplements are not advised because they have blood thinning action. Turmeric powder is used as a household remedy to control bleeding of wounds. there is a warning about turmeric being a blood thinner and for someone (going into surgery for example) to not take turmeric as it can negatively impact blood clotting…..so is this only if ingested and not if used topically? Absolutely, only valid when taken orally not when applied topically. Not euthanasia, but surgery to remove the mass. Where on earth do you live? It’s hard to believe the vets have not biopsied the mass to determine what it is. I know that would have been done after aspiration gave no results by the vets I have used in Florida and Texas and in San Miguel de Allende, Mexico. I recently suffered a deep cut in the palm of my hand. Having suffered with thrombocytopenia in the past, it could have become very serious because of the non-clotting factor. After having applied the tumeric powder to my hand as suggested, the bleeding, to my amazement, was under control very quickly! Thanks for sharing your information!!! Thanks for appreciating tony. Hope your cut is healing well. Taking turmeric can help in pain too.